As an artist or designer, when commissioned to provide artwork for a client, it’s really useful – essential, some would say – to have the terms in writing. While it can feel difficult for someone setting up in business to insist on the client signing a formal contract, at least be sure to confirm the main terms in writing in a letter or email. I have come across more than one case where there is nothing in writing, and after several weeks of hard work the client is presented with the finished artwork and decides he doesn’t want to pay for it. You have to avoid this sort of risk so here are some of the key points that any graphic designer or artist ought to identify and agree with the client. It is sensible for the designer and client to have a clear understanding of the scope of work that is required. From the designer’s point of view, there will usually be a fixed fee and he doesn’t want to find that he is repeatedly being required to revise the designs to meet the client’s requirements. Equally, the client does not know whether or not the designs will be suitable until an initial draft is produced. So, be practical and identify how many stages you will go through – e.g. initial concept, sample designs for discussion, and then the final product. ‘Time is money’ so you need to agree the timetable. Sometimes the client will have a deadline to be met. While this might put the artist under a lot of pressure, in many ways it can be better than an open-ended arrangement. So even if there is no hurry, agree a time frame and if this gets extended by the client, reserve the right to ask for extra money. Otherwise you might find the client keeps changing his mind without expecting to have to pay for the extra work. But unless a firm date is forced on you, use wording that makes it clear the dates are estimates and not guaranteed. This allows for some flexibility for a busy designer while avoiding the risk of the client trying to cancel because you have not delivered on time. There will usually be a lump sum fee, but that is not always the case. Occasionally the fee will be related to the time spent on the project and sometimes there will be a mixture – e.g. a fixed amount plus £X per hour/day if more than a budgeted amount of work has to be performed. Stage payments are always recommended and it is usual to have an advance and then maybe 2 or 3 further payments, with the final payment on delivery of the final work. An advance of, say 30-40% means that the artist is not at risk of working for nothing, and the mere fact of the advance creates a commitment by the client, so there is less risk of him abandoning the project part way through. And in case he does, make it clear at the outset that the advance payment is not refundable. In order to deal with extra services, you can either quote an hourly or daily rate at the beginning or else agree an extra fee at the time. Either way, be sure to cover this in writing and preferably not to start on the extra services until the fee – or your estimate – is accepted. There is always the possibility of an initial design being prepared and the client then deciding not to proceed. In those circumstances, make it clear that the designer is entitled at least to retain the advance or get paid for the time spent. Where a client does cancel, you should also make it a requirement that any designs or artwork already handed over should be returned, and that the client does not have any right to use any of the designer’s work unless the full fee is paid. The last thing a designer wants is to find her ideas are passed on by the client to another provider for development. A designer will, in the absence of any agreement to the contrary, own the copyright in the artwork that she prepares. A design may be commissioned for a business purpose – e.g. the design of a logo for a company – in which case, the client will usually want to ensure that it owns the copyright and that the designer does not have any residual rights to use those designs somewhere else. In order to achieve this, the contract should contain a clause under which copyright and any other intellectual property rights in the design are transferred to the client. However, this should only apply once the full price has been paid. This is clearly important from the designer’s point of view. In other cases, the agreement will say that the designer retains the copyright and, provided the client pays the full fees, he has a licence to use the designs for the purposes for which they were prepared. Other uses might justify a further payment e.g. if the client decides to sell postcards or bags using the commissioned works. Under European law relating to intellectual property, the “author” – i.e. in this case, the artist or designer – has a right to be named as the author in any document which contains that work. Sometimes these will be waived, as in the case of the company logo mentioned above. In circumstances where the designer wishes to assert his moral rights, e.g. the designer of a book cover would usually be identified in all published copies – the contract should make it clear that the moral rights are reserved and the designer has the right to be identified as the author. It can be useful to make it clear that the client must respond promptly to any requests for approval, so as not to delay the project. Occasionally, it can be advisable to spell out the reasons for the design and to stipulate that the work will not be used for any other purpose. 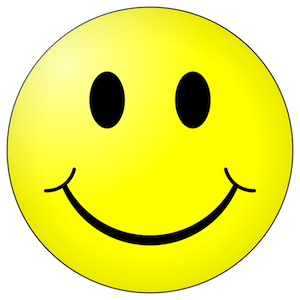 The man who designed the smiley did it for the company where he worked to cheer people up and he only discovered it was in use all over the world several years later. He never got paid anything after an initial fee of $45 for ten minutes work! As there is no automatic right to terminate a contract, it is always advisable to include wording that allows the contract to be terminated if the client fails to pay or if either party becomes insolvent or commits a material breach of the agreement. This entry was posted in Running an SME and tagged artist contracts, design agreement. Bookmark the permalink. For more than two centuries, the US and Europe have exercised an effortless economic, political and cultural hegemony. That era is coming to an end.